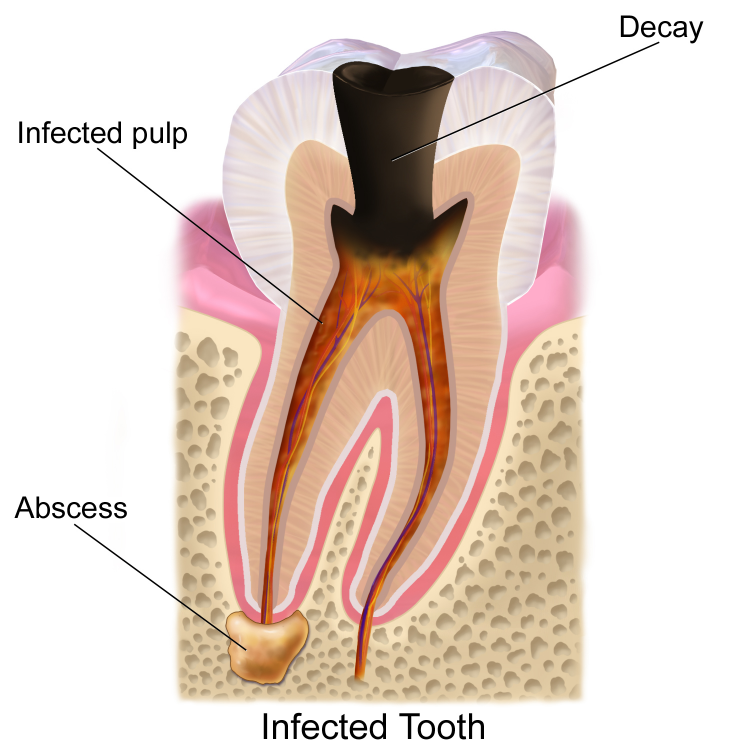 Dental decay is a common cause of tooth loss. On top of that it causes pain and infection which can affect your sleep and have impacts on your general health. It is important that you have tooth decay treated to get your mouth in a healthy state. Dental decay is caused by bacteria living on your teeth. When we eat sugary foods, it feeds the bacteria and allows it to grow and produce acids which eat away at your tooth. The early stages of the decay are silent and as the bacteria progresses closer to the nerves inside your tooth you start feeling pain. If the nerve gets infected, then your options become limited to either root canal treatment or dental extraction. Dental decay if caught early enough is usually treated with fillings where the decayed tooth tissue is removed and replaced with a filling material. At Chester Cosmetic Dental Centre we offer cosmetic fillings that are tooth coloured and blend in with your smile. In some situations where the tooth has become excessively weakened by the decay we recommend the construction of crowns for extra protection.